This LED Chess set is truly unique. 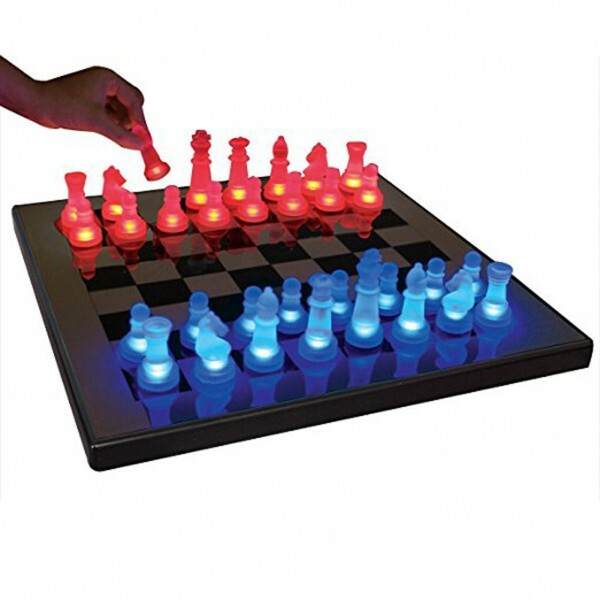 The chess pieces light up with no batteries when they are on or near the board! Chess board includes a power adapter or you can use 4 AA batteries (not included).